Emergency Room or Your Physical Therapist? Not sure if your injury requires a visit to urgent care or the ER or if a visit to the expert sports PT’s at SSOR will suffice? That’s a question many people – parents, athletes, and coaches alike – ask when they have an injury that seems serious, but cannot be sure. Pull your hamstring playing rec softball and you can’t walk? Did your son/daughter “roll” his or her ankle playing soccer? See your son/daughter collapse in a heap after coming down from a lay-up on the basketball court? Did your son come off the football field with his arm held in an awkward position? Many of these injuries, while needing attention, needlessly make people sit for hours in emergency rooms. Having a licensed athletic trainer on site will help this considerably, but unfortunately, they aren’t at every practice or event. We had a recent injury come through our doors that outwardly looked pretty serious, but after a thorough evaluation, turned out to be nothing significant requiring further diagnostic testing. 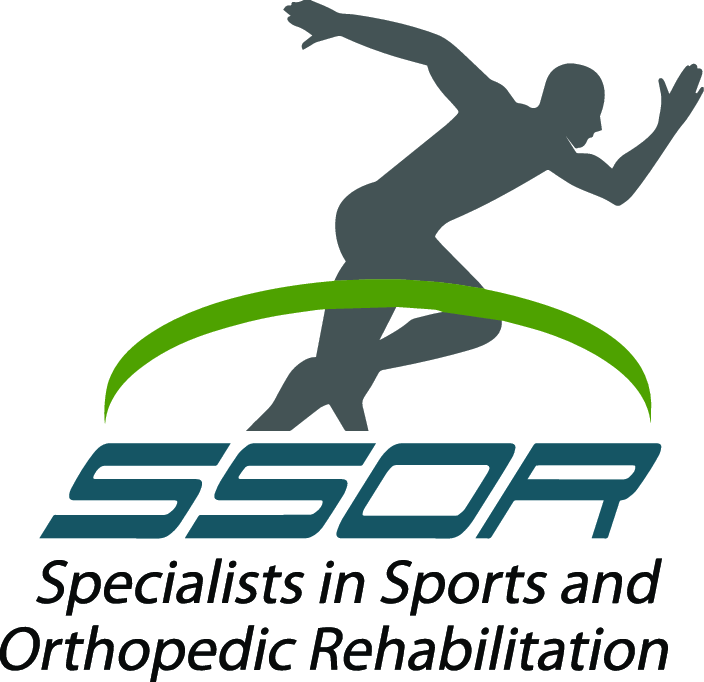 You can be confident that the PT’s at SSOR have specific expertise in the evaluation of sports and orthopedic injuries and we can help direct you to the care you need, whether it’s a trip to the doctor or a specific rehabilitation plan. Emeregency Room? See the Doctor? Call SSOR? If it looks deformed! This seems intuitive but you’d be surprised that people still aren’t sure! If your joint just doesn’t look right, you should go get an X-ray. It is not advisable to have someone reduce (“put back in place”) your joint other than a medical doctor. Be careful! If there’s an athlete down on the field/court and the hip/knee/ankle is deformed – call 911. They should be placed in a splint and taken for an X-ray. First time shoulder dislocator. You should have this X-rayed and reduced by a medical doctor. Usually the force required to dislocate a shoulder are quite high, so you may have some bony damages. You should get this reduced ASAP from urgent care or the ER because it may compromise blood flow and nerve innervation to the arm. That’s a big deal because you might lose function in your arm. Once they do, they’ll put you in a sling then you should see an orthopedic surgeon. Then come see the physical therapists at SSOR for rehab. Caveat – if you’re a repeat dislocator, you need good rehab! You probably reduce yourself, but we have to try and help you not let that happen as much! If you/your loved one cannot bear weight on your leg. Typically, the inability to bear weight at all due to pain is a good indication that you may have a fracture. That said, sometimes an injury can create more fear and cause someone to “freak out” and not put any weight down. After the initial pain subsides and the person calms down, they may be able to put weight down. The guideline is usually if they can take four steps without needing to stop, there is not likely a fracture. You might consider looking the Ottawa Knee Rules and the Ottawa Ankle Rules to give you further guidelines. If you hear a “pop” in your knee and it’s painful. This is an important point – painless clicking and popping is not pathological. Noises are common with any joint motion (ever crack your knuckles?) However, if you hear a “pop” or anything similar and it’s painful, chances are you may have done something that you should see a doctor for. Might not mean an ER visit, but you likely did something internally. The universal sign of a torn anterior cruciate ligament (ACL) is grabbing the knee with both hands. If you see that – see an orthopedic surgeon, but an ER visit isn’t necessary unless a deformity exists (see the first point). Now, if your hamstring, quad, or groin muscles “pop” and you struggle to walk – no need to rush in. Give us a call and we’ll get you going. If we find that it’s more serious, we’ll send you to a medical doctor. If you have an injury and your knee immediately swells. You’re likely to hear a “pop” and there’s usually associated swelling in the knee. Immediate swelling indicates that you likely damaged a ligament in the knee. Swelling that doesn’t show up for 24 hours or so post-injury typically indicates meniscus damage. Not an ER trip, but certainly a visit to an orthopedic surgeon. Your knee is “buckling” or you have instability. This shouldn’t require an immediate ER trip, but you should see an orthopedic surgeon. Chances are you/your loved one damaged something inside the knee. This is a big one – the “rolled” ankle. There is not an injury where more time is wasted in the ER. While they really hurt and may swell right away and look nasty, it’s rare to require an ER visit. See above – even if there’s a limp but they can weight bear, it is highly unlikely that it is fractured. Give us a call here as soon as you can and we’ll get you going. In truth, the ER physicians are typically super conservative and tell people not to weight bear at all an immobilize it. Both are not such a great idea. Come see us, we’ll evaluate it, and if it looks more serious, we’ll send you on. 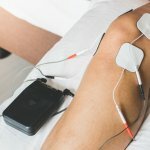 The whole point of this blog is to help calm fears associated with injury and give you some peace of mind that many injuries, while painful and functionally limiting, don’t necessarily require immediate attention at an ER that can waste an otherwise nice Saturday! Additionally, now that you can come see a physical therapist in Kansas without a physician referral, we can often expedite getting you in, getting you evaluated, and setting a plan to get you or your loved one better. Be confident that the PT’s as SSOR will evaluate you and direct you to the right provider when necessary. Give us a call!